Rebecca Winter wrote in about RawXclusive, a company she not only founded, but designs for as well. 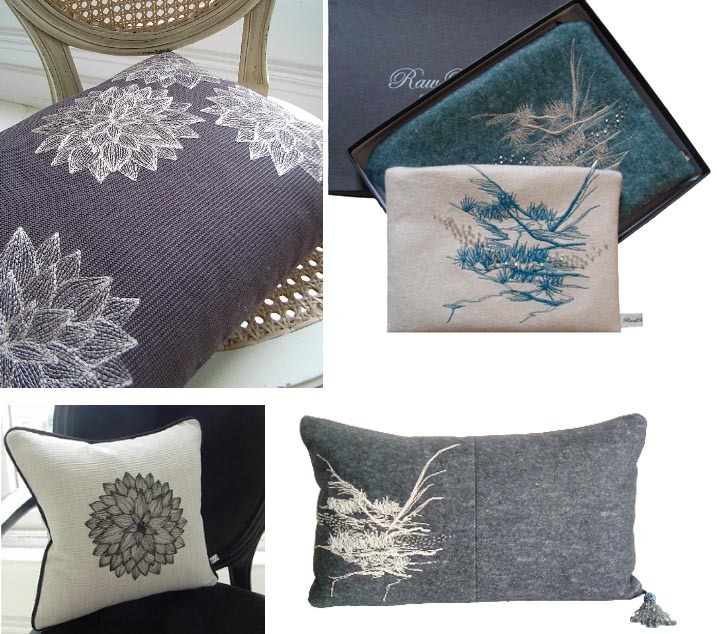 Launched at the beginning of '06, her collection of interior accessories are stylish with an air of sophistication, each item individually hand crafted by Rebecca herself and offered in her online store in linen, cotton, and wool in a range of colors. Or, if you want something created exclusively for you, ask her about the bespoke design services that she offers. 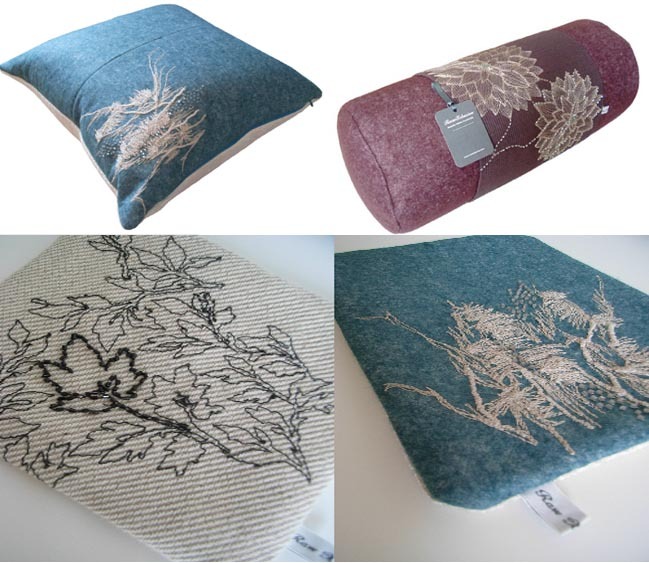 Each design that you see here is a direct result of works on paper, she takes her intricate drawings and transfers them onto fabric using machine embroidery techniques and hand embellishment for stunning results. With Fall/Winter coming, the colors and materials that she uses are cozy and simply perfect for curling up next to by a warm fire. Lovely work, Rebecca! Thank you for writing in.